Not quite a technology but it certainly disrupted my thinking this morning. An amazing story from Paraguay. 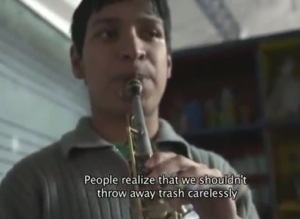 Families that survive from recycling waste from a landfill in Catuera, Paraguay have started to make the lives of their children and other peoples children better by recycling broken instruments. It has taken off so much that they created an orchestra that uses only recycled instruments, and now they are making a movie of their story. And what an inspiring story. 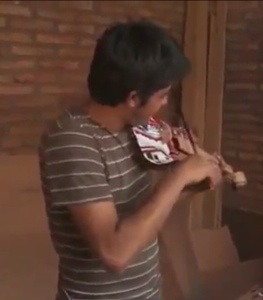 In the words of Favio Chavez, the orchestra director “The world sends us garbage. We send back music”. Please visit the Landfill Harmonic website to watch the video and support the orchestra. Thanks to my amazingly compassionate sister Julia for sending this on. ← Competitive Collaboration Part 2 – What is competitive collaboration?